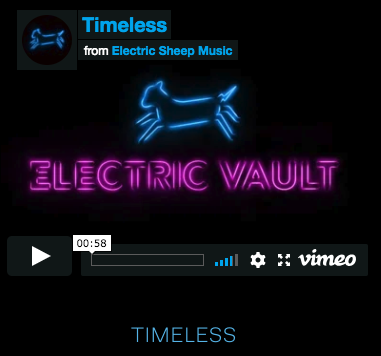 Dancing Warrior Yoga is proud to announce that we are now playing music from Electric Sheep during our classes. They are a Sydney based music company bringing fresh cinematic sounds, loops and percussion to the yoga mat. The Electric Sheep team is led by Glenn Sarangapany of lauded and loved Australian band, Birds of Tokyo. With 15 years of major label recording industry experience globally, and a conservatorium background, Glenn has a unique perspective and composition pedigree that creates original music well beyond the expected. Glenn’s yoga playlist has some dreamy healing mixes titled: Odyssey Mix, Mantra Mix and Peace Out There Mix to name just a few. Each track compliments the evolution of the yoga classes as we traverse through our slow and thoughtful warm up inside a dreamy magical soundscape, then busting out with some percussive beats during salutes to the sun, to then wind down in a breezy space of worldly sounds that wash over the body and bring you back to a state of equilibrium and deep relaxation. Rock up to class ASAP to appreciate this musical magic.